If the road can teach you anything, it is the difference between what you need and what you don’t. Born out of the midst of an 11,000 mile North American road trip, The Coteries bring you Acoustic Americana music steeped in their travels and the back roads of the American countryside. Just two summers ago the female-fronted trio found their footing behind the wheel of their old VW Bus. Aside for some freezing August nights in the mountains of Wyoming and Montana, it was the best decision of their lives. 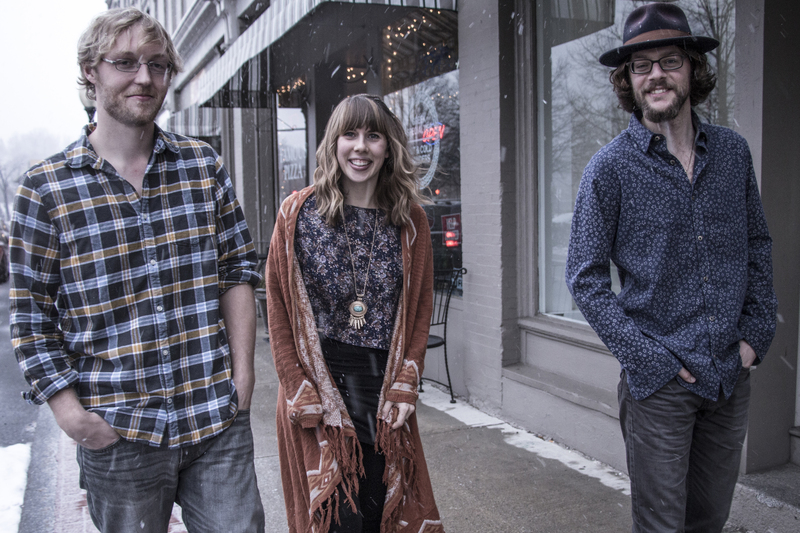 Dawning acoustic guitars, a mandolin, harmonicas, and a stomp box, The Coteries are eagerly anticipating the release of their first full-length album this Spring. The Coteries appear on WXRY Unsigned on Sunday, October 9, 2016 broadcasting LIVE from The British Bulldog Pub. Posted on October 26, 2016, in News and Announcements and tagged British Bulldog Pub, The Coteries, WXRY, WXRY Unsigned. Bookmark the permalink. Leave a comment.